A superseding indictment released earlier this month added three defendants to Chicago resident David Coleman Headley's alleged conspiracy to plot attacks in India and Denmark. It also makes clear that, while the public focus on terror has shifted to Yemen, the threat of jihad from al Qaeda affiliates along the Pakistan-Afghanistan border remains potent. Headley, an American citizen, is accused of scouting sites attacked in last year's deadly Mumbai terror attacks. The wave of terror unleashed by Lashkar-e-Taiba (LeT) killed 170 people, including six Americans, and injured hundreds. In addition, Headley allegedly plotted to attack the Danish newspaper Jyllands-Posten and kill the cartoonist who drew a caricature of the Prophet Mohamed. The superseding indictment adds charges against Headley's accomplice Tahawwur Rana, a Pakistan-born Canadian citizen who also lives in Chicago, and recently entered a not guilty plea. And it charges an influential leader of a Pakistani terrorist group with known ties to al Qaeda as well as a retired major in the Pakistani military. In another case earlier last month, five American Muslim men who had traveled to Pakistan to attend a terrorist training camp and fight for an al Qaeda-affiliated group were arrested in Pakistan. The young men, all D.C.-area college students, were found at the home of a Jaish-e-Muhammed (JeM) activist. The group is an outlawed Pakistani terrorist organization with known ties to the Taliban and al Qaeda. The men, who reportedly communicated with al Qaeda operatives through YouTube posts while in the U.S., hoped to attend a training camp in North Waziristan, the tribal region bordering Afghanistan that is home to Taliban and al Qaeda terrorists. Similarly, terror suspect Najibullah Zazi, charged in September 2009 with plotting to set off bombs in New York, also is alleged to have received explosives training at an al Qaeda camp in Pakistan. Prior to 9/11, groups such as the LeT and JeM focused on waging jihad in Kashmir. However, now they repeatedly turn up in terrorist plots being hatched in the United States. During a news conference last month, Secretary of State Hillary Clinton linked the recent spate of arrests to the war on terror being waged in the Pakistan-Afghanistan theater. "We know that much of the training and the direction for terrorists comes from Pakistan and the border area with Afghanistan," she said. "…we've got to work more closely with both Afghanistan and Pakistan to try to root out the infrastructure of terrorism that continues to recruit and train people who are willing to do what is alleged with Mr. Zazi [Najibullah Zazi], David Headley, and others, in the recent cases that have come to light." A former CIA official Bruce Riedel, who led President Obama's policy review toward Afghanistan and Pakistan, admits that over the past several years al Qaeda and allied groups like the Lashkar-e-Taiba have placed a high priority on recruiting from South Asian communities in the United States and other Western countries. A recruit with a U.S., British or Canadian passport is "a gold mine" for al Qaeda and its affiliates, adds Reidel. Recruitment of U.S., British or Canadian operatives allows al Qaeda to break through Western security as these operatives are able to travel to and from Pakistan without arousing suspicion. These and other recent arrests have raised new concerns in the United States about the radicalization of American and Western youth attending al Qaeda-affiliated jihadi training camps in Pakistan, particularly in the border area with Afghanistan. Furthermore, the arrests show the growing international reach of jihadi groups associated with al Qaeda in the region. Lashkar-e-Taiba, an al Qaeda-linked terrorist group, and Maulana Illyas Kashmiri, leader of al Qaeda's infamous 311 Brigade and the Harkat Jihad al-Islami (HUJI) that has carried out deadly attacks in Kashmir, have been tied to terrorist plotters in Chicago. According to court documents, Headley conspired with Kashmiri to plan an attack against the Danish newspaper Jyllands-Posten and two of its employees. Kashmiri has also been implicated in the recent killings of seven CIA agents at a base along the Pakistan-Afghanistan border. Don Rassler, an associate at the Combating Terrorism Center at the U.S. Military Academy at West Point, highlights al Qaeda's growing collaboration with other terrorist groups in the region: "[al Qaeda is] acting as a force multiplier for violent activities by providing specific expertise; and serving as a mediator and coalition builder for militant groups within Pakistan." "…the question of special nearness and farness in our modern age does not have the same significance it once had…. The relations which tie the major infidel states to the statelets [sic] and their apostate governments are close, overlapping relations on all fronts: political, economic, military and even cultural. 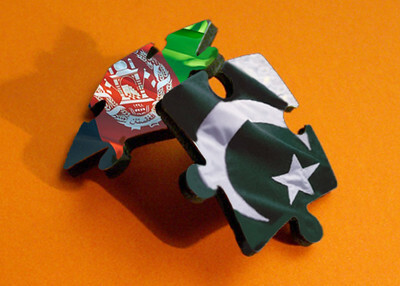 …they [the United States, Pakistan, Afghanistan] are a single entity, a single enemy, and a single army." Pakistan has been described as the epicenter of terrorism in light of the proliferation of Islamic terrorist groups beyond their traditional tribal bases into the Pakistani heartland in an unstable, nuclear-armed nation. Since the Taliban's downfall in Afghanistan in 2001 the lawless tribal areas in Pakistan bordering Afghanistan have become host to al Qaeda's core leadership. Al Qaeda and Taliban fighters have penetrated the Pakistani heartland and revived the insurgency in southern Afghanistan. This deteriorating security situation directly threatens the United States and its allies as terrorists seek to control parts of Afghanistan and Pakistan and use the area as a launching pad for international terrorist operations. The explosion of al Qaeda-linked terrorist groups in the area also attracts young Muslims from the U.S. and the West who seek to hook up with al Qaeda and other groups. A troubling development has been the uniting of several disparate militant groups that include members from both the Pashtun tribal groups and the Punjabi Taliban network. Sipah-i-Sahaba Pakistan (SSP), Lashkar-i-Jhangvi, and Jaish-e-Mohammed joined forces under the common banner of Tehrik-e-Taliban Pakistan (TTP). The TTP was led by a top Taliban commander from South Waziristan, Baitullah Mehsud, until his death in a U.S. missile strike in August 2009. He was replaced by his cousin and deputy, Hakimullah Mehsud. The coalition has a wide representation and includes groups from both the Federally Administered Tribal Areas (FATA) and the North West Frontier Province. Pakistani authorities blame former TTP leader Baitullah Mehsud to be behind the December 2007 assassination of former Pakistani prime minister and leader of Pakistan's People's Party (PPP) Benazir Bhutto. "Our main aim is to target the US allies in Afghanistan but the government of Pakistan's ill-strategy has made us to launch a defensive Jihad in Pakistan....The government of Pakistan would be paid in the same coin now." Since then, the TTP has targeted key cities in Pakistan's Punjabi heartland, including Islamabad, Rawalpindi, and Lahore. Much of the Afghan Taliban leadership is in the Pakistani city of Quetta, which borders southern Afghanistan. Supreme leader Mullah Muhammad Omar reportedly conducts Taliban operations in Quetta and raises money from wealthy Persian Gulf states to supply guns and fighters for the insurgency in southern Afghanistan. A key faction of the Afghan Taliban called the "Haqqani Network" operates out of North Waziristan, a mountainous region of northwest Pakistan that borders Afghanistan. This jihadi network that is based out of the lawless belt between Pakistan and Afghanistan has been at the forefront of the insurgency against U.S.-led NATO forces in Afghanistan and is headed by veteran Afghan rebel Jalaluddin Haqqani and his son, Sirajuddin Haqqani. Another Afghan warlord, Gulbuddin Hekmatyar, leads a faction of the militant Hizb-e-Islami group that is allied with al Qaeda and the Taliban and operates in southeastern Afghanistan near Pakistan. Hekmatyar's faction has also led several attacks against U.S. forces in Afghanistan and President Hamid Karzai's government in Kabul. Al Qaeda's alliance with terrorist groups in Pakistan and the lawless tribal region bordering Afghanistan has bolstered its ability to plan international attacks directed at the United States and its allies, beginning with the 9/11 attacks. The steady flow of Western recruits - including Americans like Headley and the D.C. college students - to the region to attend terrorist training camps and wage jihad remains another critical point of concern. The U.S. troop surge in Afghanistan, therefore, is a calculated risk. But the alternative of maintaining a status quo that is not yielding results, or abandoning the region, is even worse. A properly equipped counterinsurgency policy helped turn Iraq around during the surge and a counterinsurgency strategy adapted to Afghanistan's unique culture and geography can likely make similar successes possible in the region.